One of the painting projects for kindergarten children last week was to draw and paint characters of their choice. Here is one of the chosen characters. We first drew the picture using a pencil. which is always a good step to follow. 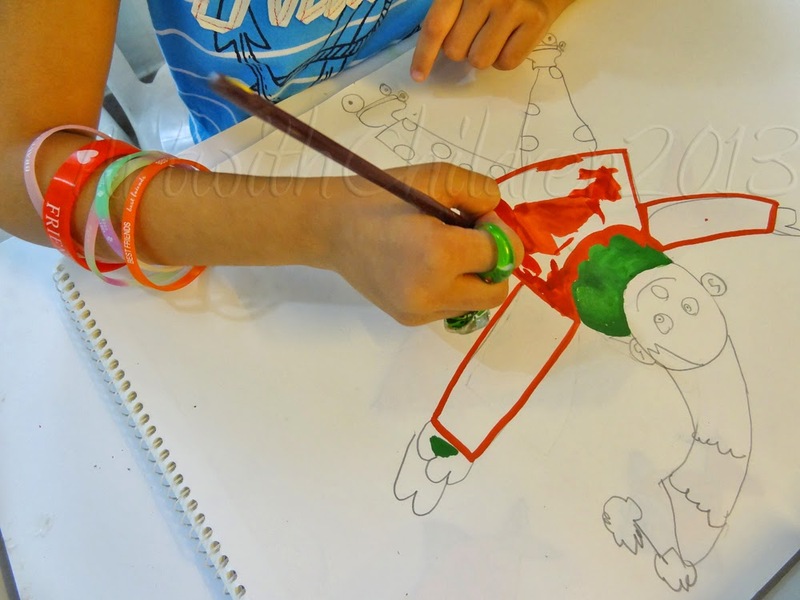 We have used different colors to highlight the drawing steps in the picture below. 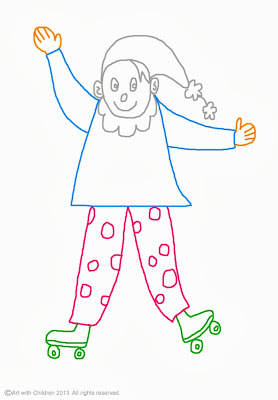 For example we drew the head and the cap first, then the shirt and hands and lastly the pajamas and the skates.